Average 4.3 / 5 out of 18 total votes. The war of gods left the earth no winners, but a broken world. Thousands of years later, the soul of the God of war created a new world from the ruins. Nine reincarnations for the same one belief. A youngster looked up at the starlit sky with his sword in hand. Monsters, demons, evil persons…Whoever had the nerve to damage this world would end up dying. To see how a youngster got onto the top of the world little by little, inherited the soul of the God of war, and defend his own world! 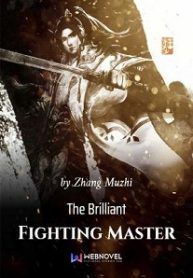 You’re reading Chinese web Novel “The Brilliant Fighting Master” on BOXNOVEL . Thanks!